The EUROASPIRE surveys (EUROpean Action on Secondary Prevention through Intervention to Reduce Events) demonstrated that most European coronary patients fail to achieve lifestyle, risk factor and therapeutic targets. Here we report on the 2-year incidence of hard cardiovascular (CV) endpoints in the EUROASPIRE IV cohort. EUROASPIRE IV (2012–2013) was a large cross-sectional study undertaken at 78 centres from selected geographical areas in 24 European countries. Patients were interviewed and examined at least 6 months following hospitalization for a coronary event or procedure. Fatal and non-fatal CV events occurring at least 1 year after this baseline screening were registered. The primary outcome in our analyses was the incidence of CV death or non-fatal myocardial infarction, stroke or heart failure. Cox regression models, stratified for country, were fitted to relate baseline characteristics to outcome. Our analyses included 7471 predominantly male patients. Overall, 222 deaths were registered of whom 58% were cardiovascular. The incidence of the primary outcome was 42 per 1000 person-years. Comorbidities were strongly and significantly associated with the primary outcome (multivariately adjusted hazard ratio HR, 95% confidence interval): severe chronic kidney disease (HR 2.36, 1.44–3.85), uncontrolled diabetes (HR 1.89, 1.50–2.38), resting heart rate ≥ 75 bpm (HR 1.74, 1.30–2.32), history of stroke (HR 1.70, 1.27–2.29), peripheral artery disease (HR 1.48, 1.09–2.01), history of heart failure (HR 1.47, 1.08–2.01) and history of acute myocardial infarction (HR 1.27, 1.05–1.53). 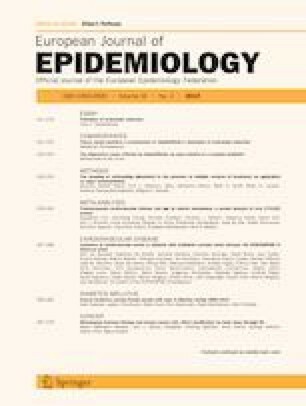 Low education and feelings of depression were significantly associated with increased risk. Lifestyle factors such as persistent smoking, insufficient physical activity and central obesity were not significantly related to adverse outcome. Blood pressure and LDL-C levels appeared to be unrelated to cardiovascular events irrespective of treatment. In patients with stabilized CHD, comorbid conditions that may reflect the ubiquitous nature of atherosclerosis, dominate lifestyle-related and other modifiable risk factors in terms of prognosis, at least over a 2-year follow-up period. The online version of this article ( https://doi.org/10.1007/s10654-018-0454-0) contains supplementary material, which is available to authorized users. The EUROASPIRE IV survey was carried out under the auspices of the European Society of Cardiology, EURObservational Research Programme. The sponsors of the EUROASPIRE surveys had no role in the design, data collection, data analysis, data interpretation, decision to publish, or writing the manuscript. The EUROASPIRE Study Group is grateful to the administrative staff, physicians, nurses and other personnel in the hospitals in which the survey was carried out and to all patients who participated in the surveys. This work was supported by AstraZeneca, Bristol–Myers Squibb/Emea Sarl, GlaxoSmithKline, F Hoffman–La Roche (Gold Sponsors), Merck, Sharp and Dohme and Amgen (Bronze Sponsors) (unrestricted research grants to the European Society of Cardiology). (1) KK, DDB, CJ, VG, LR and DW had grant support from the European Society of Cardiology for the submitted work; VG was supported by a Grant from the Swedish Heart and Lung Foundation; AP was supported by a grant from the Polish National Science Centre (Contract DEC-2011/03/B/N27/06101); JB was supported by the Grant No. NT 13186 by the Internal Grant Agency, Ministry of Health, Czech Republic; DM had grants from Servier, MSD, Sanofi-Aventis, Menarini; PA had grants from AstraZeneca; SS had grants from German Ministry of Research and Education via the Comprehensive Heart Failure Centre, University of Würzburg; (2) DW, LR, KK, VG, PA, MD, MS, PH, RC, AE, DG, ZR, LT had the following financial activities outside the submitted work in the previous 3 years: DW, honoraria for invited lectures or advisory boards: AstraZeneca, Merck Sharp and Dohme, Kowa Pharmaceuticals, Menarini, Zentiva; consultancy: Merck Sharp and Dohme; LR, Grants from Swedish Heart Lung Foundation, Swedish Diabetes Association, Roche AG, Bayer AG and Karolinska Institute Funds, personal fees from Roche, SanofiAventis, and Bayer AG; KK, travel Grants from Roche and Boehringer Ingelheim; VG, lecture fees from MSD Sweden; PA had grants and personal fees from Fondation Plan Alzheimer, Servier, Alzprotect, Total, Hoffman Roche, Daichi Sankyo, Genoscreen; MD, grants from Universal Agency ‘Profarma’; MS was temporarily employed by MSD Sweden AB as Associate Director, medical affairs, during part of the study period; PH receives/received in the recent years research support from the German Ministry of Research and Education (Centre for Stroke Research Berlin; Comprehensive Heart Failure Centre Würzburg), the European Union (European Implementation Score Collaboration), the German Stroke Foundation, the Charité—Universitätsmedizin Berlin, the Berlin Chamber of Physicians, and the University Hospital of Würzburg; RC had grants from Krka, Novo Mesto, Slovenia, personal fees from Servier International, Medtronic, Medtronic Czechia, Abbott Products Operations AG, MSD Czech Republic, TEVA Pharmaceuticals Czech Republic; ZR had personal fees from Sanofi, AstraZeneca, Abbott, and Aegirion; AE had grants and personal fees from Abbott Vascular, Boston Scientific, Biosensors, Biotronik, Cordis J&J, Medtronik; DG had personal fees from AstraZaneca, Abbott, Novartis and Sanofi; LT had lecture honoraria from Abbott, MSD, Bayer, AstraZaneca, Boehringer Ingelheim, Pfizer, Sanofi, Servier, Kowa and Actelion, and (3) ACC, JWD, JDS, MD, ZF, DL, NG, AL, DL, EN, RO, NP, DV have no financial interests that are relevant to the submitted work.